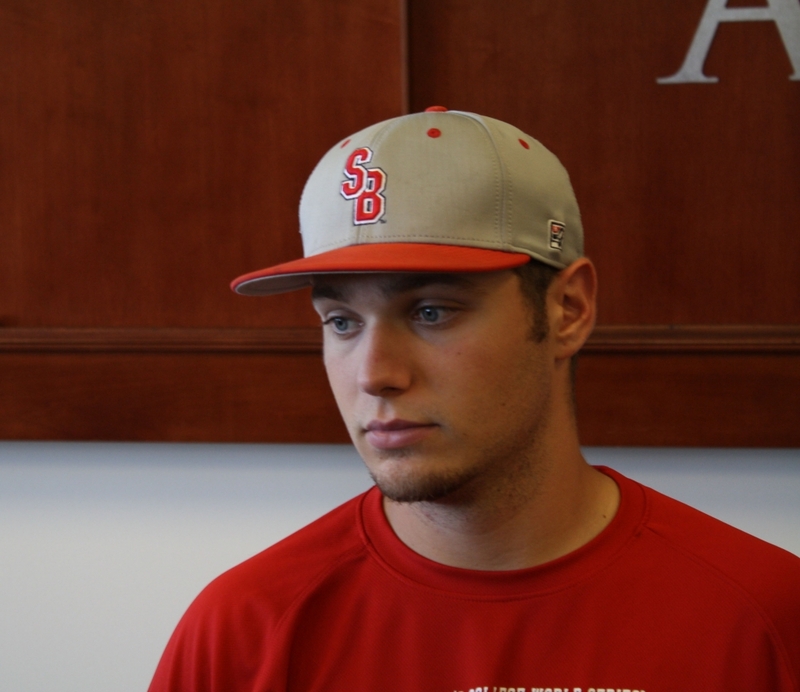 Two months ago, Stony Brook University’s baseball team shocked the world when they advanced to the College World Series for the first time in history. 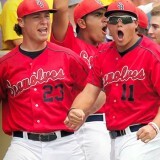 The Stony Brook Seawolves played in the 2012 American East Championships and came out on top after winning every game. After defeating six-time national champion Louisiana State University on their home field in Baton Rouge, fans finally realized how close the team was to the College World Series. During the heated three-game super regional against LSU, one commentator used the phrase “shock the world,” which became a trending topic on Twitter after Stony Brook won the series. It remains a favorite mantra of the Seawolves, found around the campus on items such as banners and T-shirts. to pop up as the team prepared to face off against the UCLA Bruins. Stores quickly sold out of SBU merchandise. 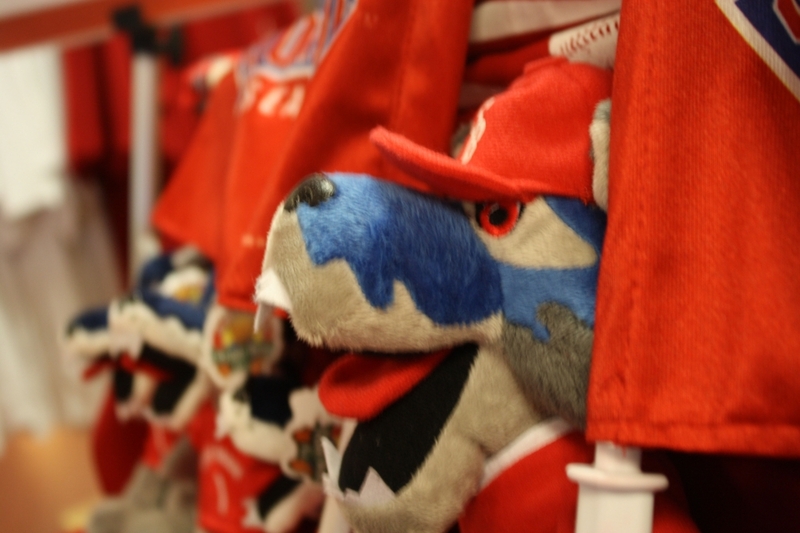 In one campus store, 288 Seawolves shirts were sold within days, a great feat considering it was summer and school was not in session. Aron Persaud, Seawolves MarketPlace Manager, had countless Stony Brook alumni and supporters in the community calling him to make such purchases. Vanderka said the team tried to keep the pressure of the spotlight in perspective. “[We were] playing every game like it’s another regular game, not really pressing, just trying to have fun,” he said. 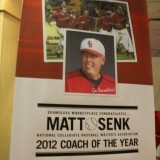 The team was guided by their coach of 22 seasons, Matt Senk. 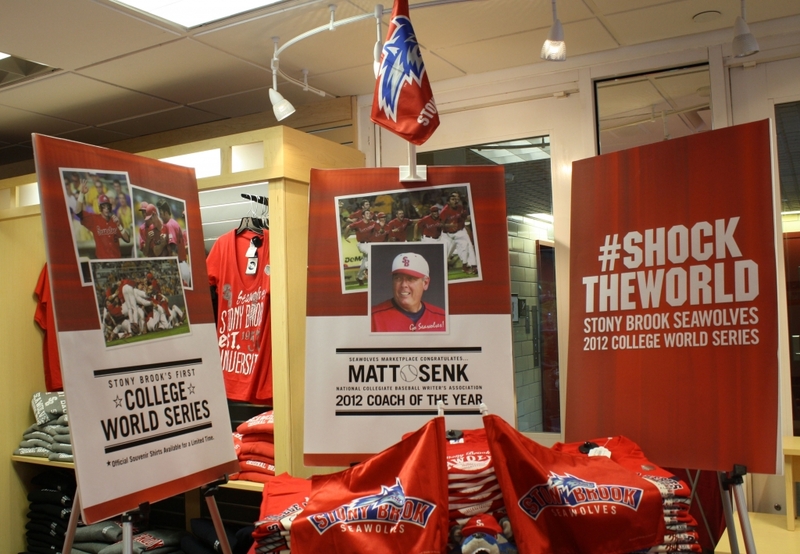 When Senk became their coach, the Stony Brook team was able to make the transition from Division III to Division I. They continued to surpass expectations, this year becoming the first Northeastern team to compete in the CWS in over 20 years. 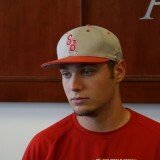 Senk’s efforts won him two national honors during the season. He was named CollegeBaseballInsider.com Co-National Coach of the Year, along with Kent State’s Scott Stricklin. 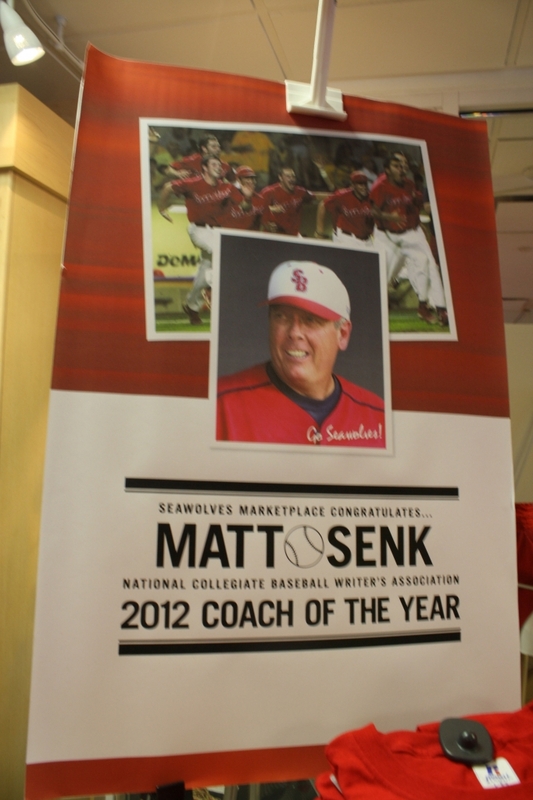 In addition, the National Collegiate Baseball Writer’s Association named Senk Coach of the Year in June. Senk served as the mentor of seven Major League draftees this year: Pat Cantwell, William Carmona, Maxx Tissenbaum, James Campbell, Jasvir Rakkar, Tyler Johnson, and Travis Jankowski. 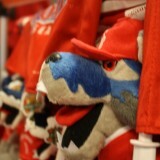 Despite being the underdogs most were rooting for, the Seawolves did not take home the championship title. SBU lost to the UCLA Bruins in their opening game by a score of 9-1. The team then lost to Florida State in the second round by a score of 12-2, which then resulted in the team being eliminated. However, their incredible experience inspires them to stay optimistic and keep playing to the best of their ability. “As long as we’re willing to put in the work, we’ll succeed in some way,” said Josh Barry. 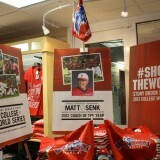 A section of the School Store dedicated merchandise for the Stony Brook University Baseball team on July 25, 2012 after the team made it into the College World Series.